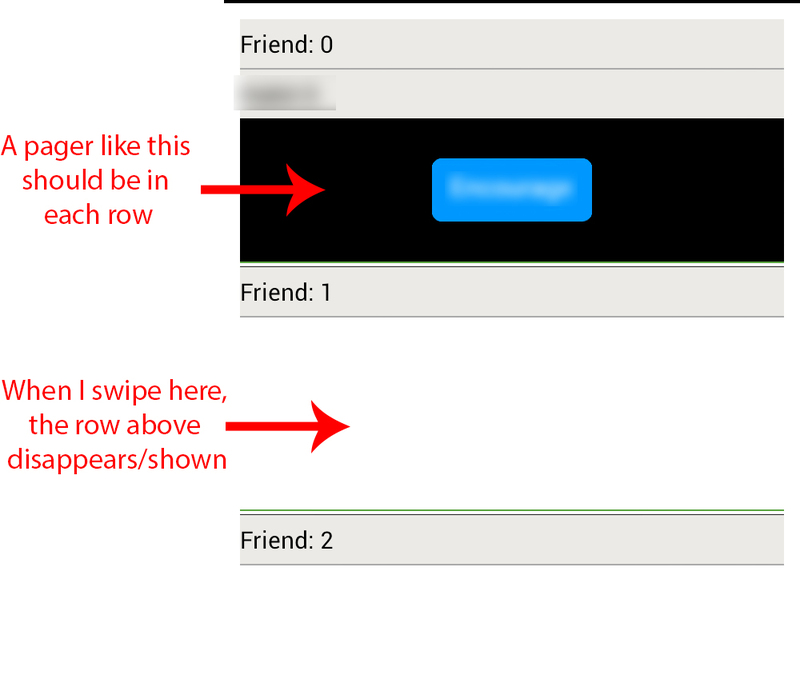 I try to use ViewPager as a row ins ListView but a get a bizarre behaviuor - Only the first row works, but when I scroll the list it disappears. When I scroll an empty row, suddenly the row above is being viewed. It seems like Android creates a single pager and use it for all rows. Whenever you need to dynamically add pagers, you need to set an ID for each pager using ViewPager.setId().